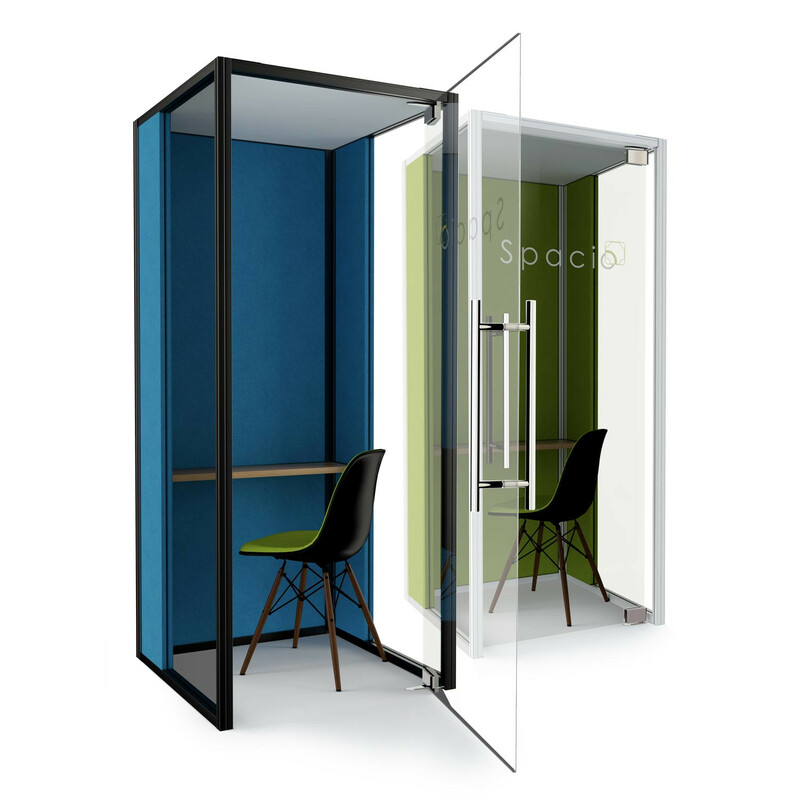 Spacio Lite Phone Booth has been specially developed to offer a cost-effective single user privacy booth. 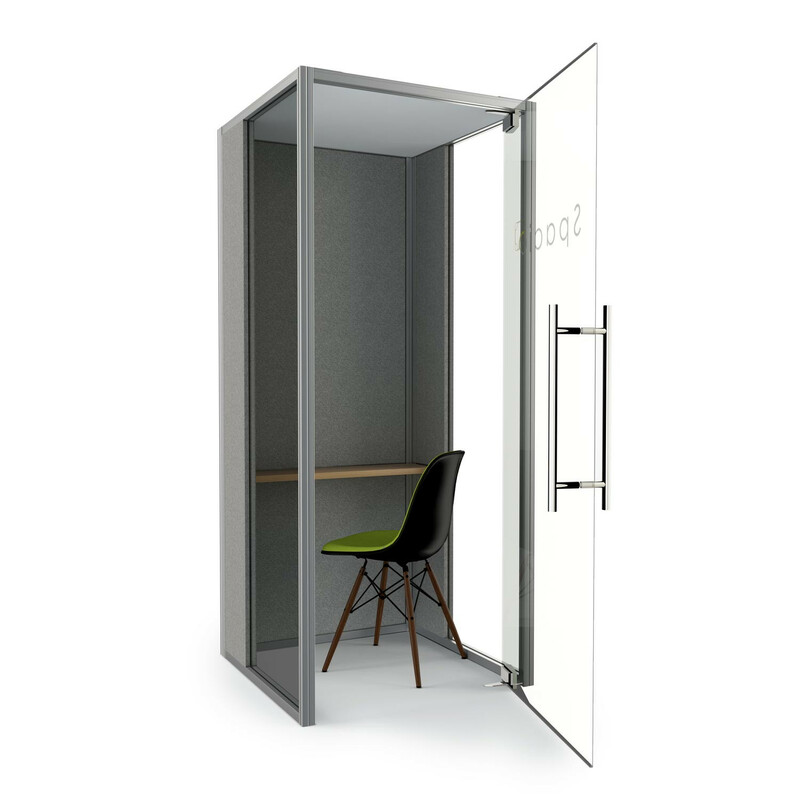 Spacio Lite Phone Booth is compact, taking only 900 x 900mm square and is acoustically enhanced, providing a confidential escape from office noises to have private telephone conversations at any time, no matter how busy the surrounding work area may be. Spacio Lites offers a hydraulically closing door, quietly sealing behind you it protects you from distracting sounds, meaning concentration levels are significantly increased. 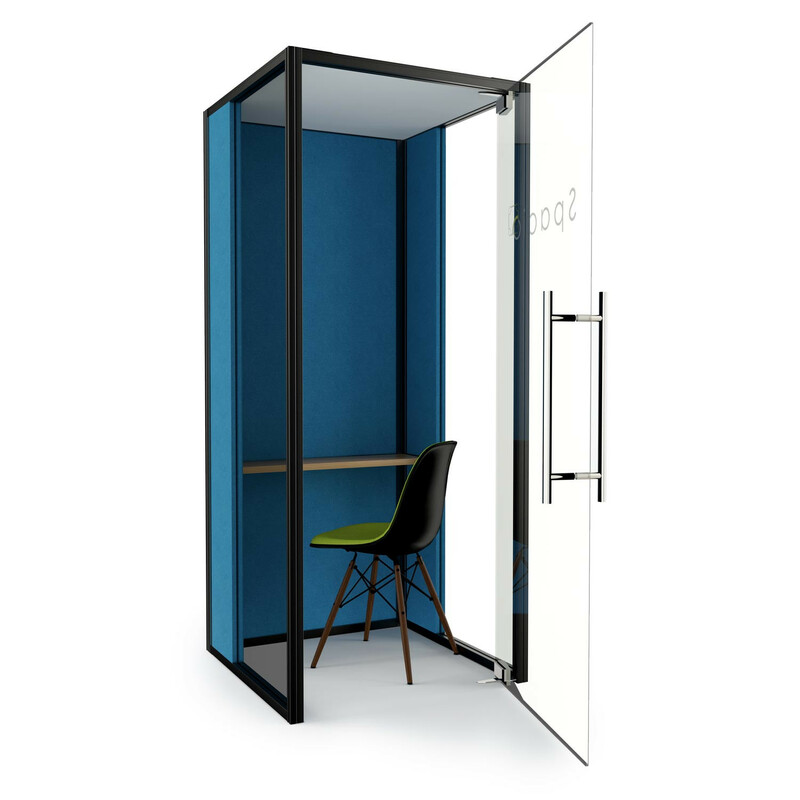 Spacio Lite Phone Booth’s clever combination of fabrics and glazing panels allow natural light in, whilst enabling peace and privacy. The Spacio Lite booth does need to be fixed to the floor with a screw. You are requesting a price for the "Spacio Lite Phone Booth"
To create a new project and add "Spacio Lite Phone Booth" to it please click the button below. 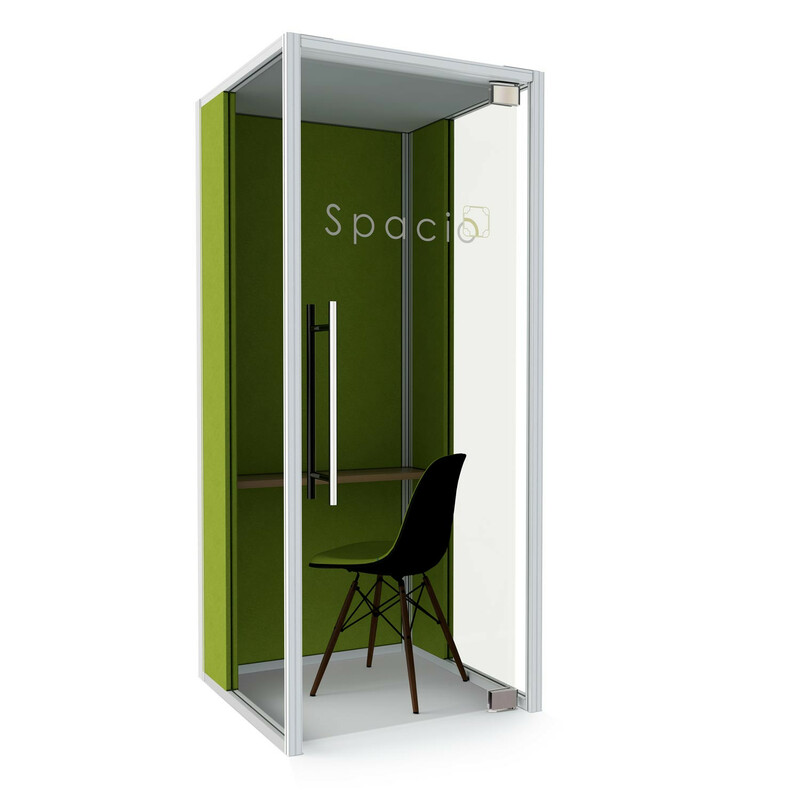 To add "Spacio Lite Phone Booth" to an existing project please select below.